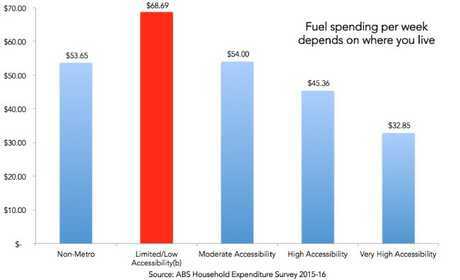 The Australian Bureau of Statistics collects data on who spends the most on fuel and I’ve got bad news for you if you live anywhere other than the inner city. IT'S $1.62? $1.62? Per litre? When did that happen? It feels like I woke up and Australia's petrol prices have gone berserk. At the pump, every gentle squeeze on the trigger now costs enough to make my eyes water. Aussies are starting to fear prices will keep heading up to $2. This is happening across Australia. 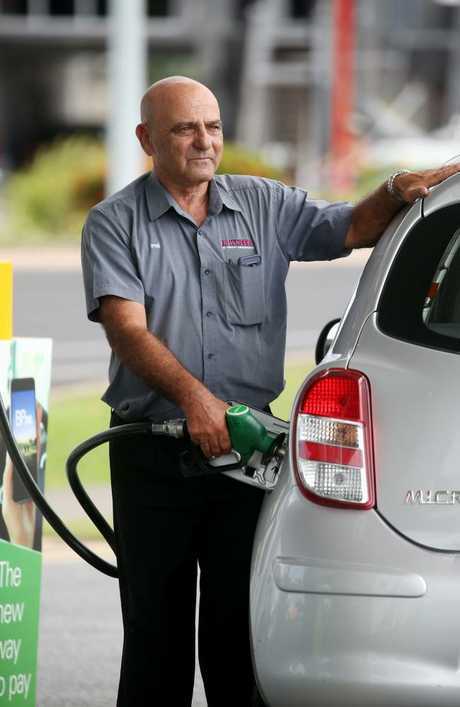 Petrol prices have zoomed up whether you're in Tasmania or Darwin, city or country. And a lot of the reason comes from America. Donald Trump has been tightening the screws on Iran, and that is one reason the global price of a barrel of oil has been rising. 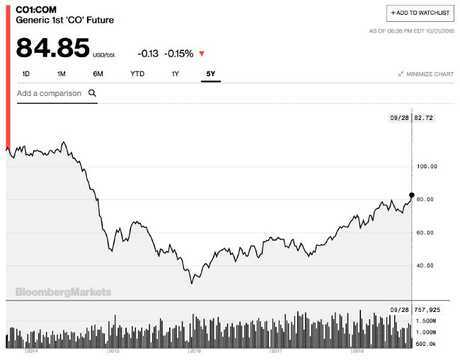 As this next graph shows, crude oil is now at $85 a barrel. There is a lot of chat in the market about what would happen if it went back over $100, a price we have not seen since 2014. High oil prices are nice in Riyadh and Baghdad, but rising petrol prices hurt Aussies. And they hurt some more than others. 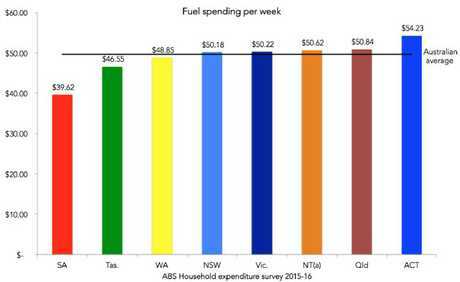 The Australian Bureau of Statistics (ABS) collects data on who spends the most on fuel and I've got bad news for you if you live anywhere other than the inner city. This graph uses a geographic coding system to determine who spends most on fuel. You might think people in the country spend most, but the non-metropolitan column on the left is not the tallest. The red column is. 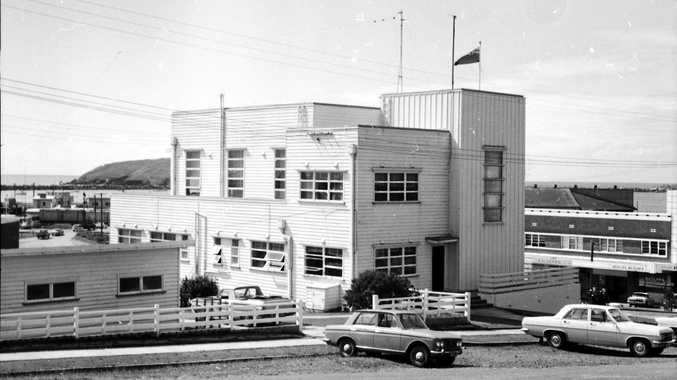 It represents people who live in certain outer suburbs, with least access to services. Those people get hit hardest when petrol prices go up. The small blue line on the right is those who live in inner cities, where many of the things they need within walking distance. There are plenty of Australian suburbs that fall into this red category. Places like Kilsyth and Langwarrin in Melbourne, Camden and Elizabeth Hills in Sydney, or Maleny in Queensland. 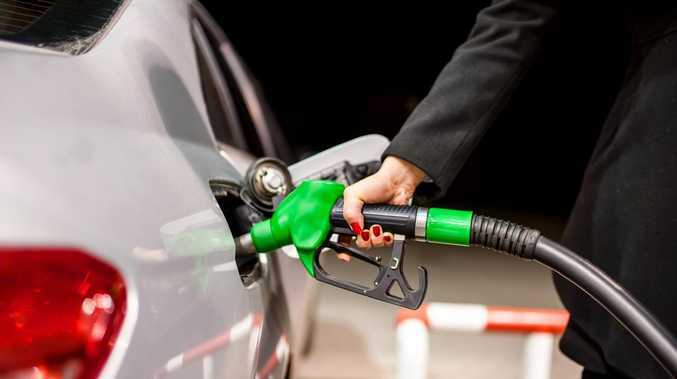 A state-by-state breakdown gives us more detail on what parts of Australia spend the most on fuel, with Queensland and the ACT at the top of the charts. There’s a huge variance in fuel costs depending on which state you live in. Petrol prices are a big hit to the wallet. It can even happen directly at the petrol station. If you spend $100 on a tank of fuel, you're unlikely to want to splurge on an iced coffee and a magazine too. Later in the week, when you check your bank account, you will probably stay in for Vegemite on toast instead of going out for brunch. But that is not all. Fuel prices matter so much because it is a big cost input to a lot of other things. Glance around the fresh food section at the supermarket - almost everything you see came in the back of a big refrigerated truck that uses more fuel in a day than you use in a month. Higher fuel prices mean higher costs for bringing us our dinner. And it goes on and on throughout the economy. Your Uber driver just took a pay cut. Every delivery man that brings an online order to your door is suffering. The truckie that runs their own one-person logistics company is struggling to make ends meet. Farmers running tractors over their dust-dry paddocks need to pay more for diesel, and meanwhile Qantas executives are looking at spreadsheets, shaking their heads. Some of these costs will be soaked up by these businesses. Some will be passed on. But either way, it means less money to spend in the rest of the economy. Pain at the pump is also pain at the RBA. A bump in petrol prices that takes $10 a week out of your pocket is like a bump in interest rates that takes $10 out of your pocket. It squeezes your wallet leaving less to spend in the rest of the economy. You can just imagine the RBA board sitting around the table and saying "Dammit!". The RBA is trying to get the economy moving and a squeeze on households is the last thing it wants to see. There is no way the RBA would raise rates right now - it wants the economy to hum along and soak up as much unemployment and underemployment as possible. But there is little the RBA can do right now about a petrol price hike, even if it will make the economy hum a little less. If there is any good news, it is this: Our economy is slowly moving away from being so dependent on liquid fuel. Businesses that might once have used a generator for back-up power can use big batteries these days. And electric vehicles are becoming a reality. I saw the local postie out the other day, delivering his letters on an quiet electric bike. While electric cars have not yet taken off in Australia, they might soon. More electric models are coming to Australia - not just Teslas - and they should be affordable and reliable. We just need to make sure we have the infrastructure for them. The fewer people who want to buy liquid fuel, the more the forces of supply and demand should keep prices down. That sounds good to me. I'd guess we would all appreciate a future where we don't wake up to petrol prices that nearly give us a heart attack.